Laryngoscope Blade Miller Fiber Optic Disposable are Single-use, sterile disposable blades which helps to eliminate the time, reprocessing steps and costs related to disinfecting reusable blades. These are Packed individually in a clear pouch which makes it easy to identify blade size and type. 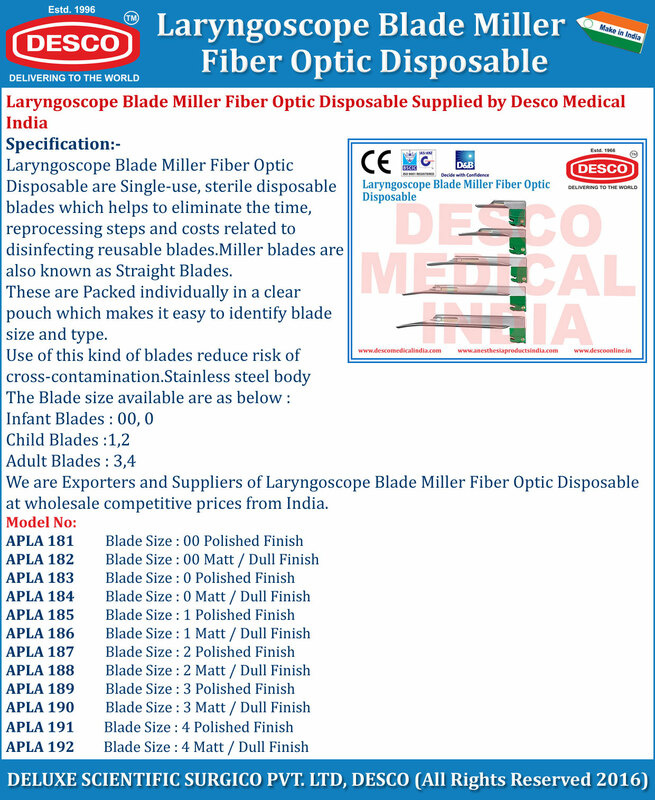 We are Exporters and Suppliers of Laryngoscope Blade Miller Fiber Optic Disposable at wholesale competitive prices from India.